The outlook of Seoul’s Mayor Park Won-soon toward economic reform and North-South Korean reconciliation represents a sharp departure from much of the conventional wisdom on both the right and left. Slash the power of the chaebol, the multi-tentacle conglomerates that totally dominate the Korean economy? Open serious negotiations with North Korea as Kim Jong Un masterminds a program for affixing nuclear warheads to the tips of missiles capable of annihilating targets in South Korea and Japan? Link both these ambitions into one cohesive package – and maintain ties with the nation that he calls “our closest ally,” the United States? Mayor Park would answer yes to all those questions in language that leads conservatives to conclude he’s almost a socialist and radicals to think he’s another “moderate” conservative. A leading member of the opposition Democratic Party, the mayor gets the chance to explain his economic outlook in New York on Tuesday at what’s called a “demo day” at which he’s showing off a cluster of Korean start-up companies in hopes of drumming up interest in what they’re working on – and selling. He’ll present much the same program to audiences in Montreal and Canada before returning to Seoul next week confident that he’s gotten across how strongly he feels about the need for small and medium enterprise to be able to survive, grow and profit in the shadow of the chaebol. “Social economy” is a term Park likes to use as a catch-all for the sweeping economic reform that he believes is needed to strengthen the creativity and imagination of entrepreneurs – and allow them to compete with the traditional giants of Korean business and industry. But what does this vision of the South Korean economy have to do with North Korea at a time when the country appears impervious to South Korean entreaties for any kind of deal to end its nuclear program? 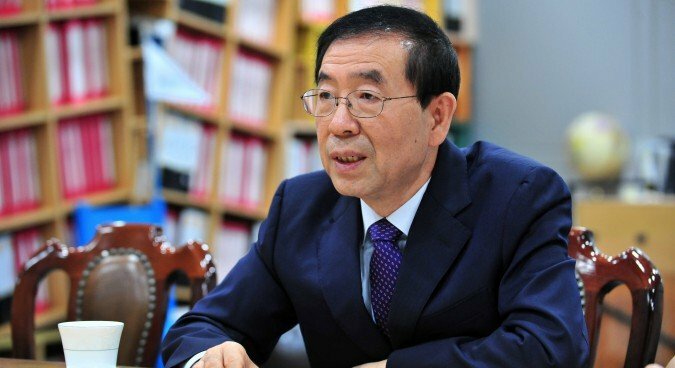 “By combining the economy of South Korea and inexpensive labor and natural resources of North Korea we will see a thriving boom in construction 30 years from now,” he says. For starters, Park believes South and North Korea must reopen the twin projects that represented the deepest, most significant links between North and South – the Kaesong Industrial Complex and the Kumkang Tourist Special Zone, both just above the demilitarized zone that has divided North from South since the Korean War. Park believes it’s time to move beyond these differences and take a much longer-term view. The renaissance of these zones, however, won’t be easy. President Park Geun-hye in February ordered South Korean companies to pull out of Kaesong, 40 miles north of Seoul, after North Korea conducted its fourth nuclear test in January and launched a satellite in February, all in violation of UN sanctions. 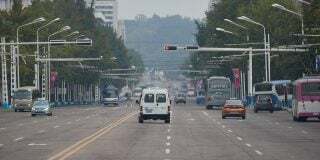 The closure of Kaesong forced more than 100 South Korean companies to abandon facilities employing more than 50,000 North Korean workers from which the DPRK was earning more than $100 million a year. 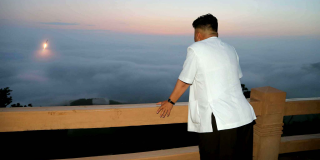 That was nearly eight years after Park’s predecessor, Lee Myung-bak, stopped tours from the South to Mount Kumkang after a North Korean guard shot and killed a middle-aged South Korean housewife after she strayed out of the tourist area to gaze at the sunrise over the east coast. 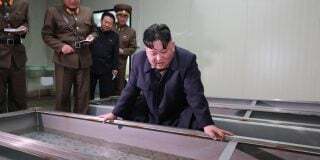 Foreign tourists visit Kumkang from Pyongyang, but the South is steadfast in its demand for a full apology from the North, its own investigation of the killing and a guarantee of the safety of visitors. 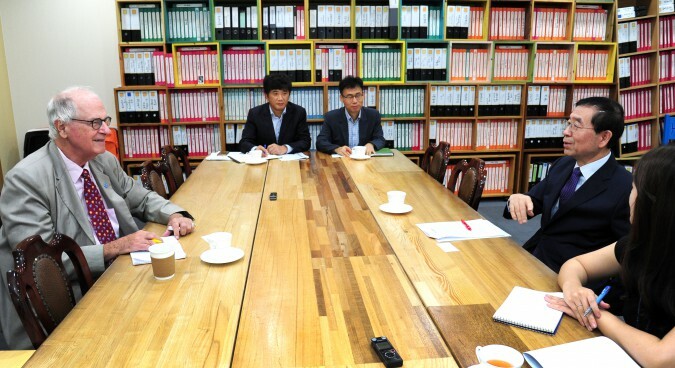 Park believes all sides can work together to come to an understanding. But how much does the mayor’s yearning for reconciliation differ from the demands of the conservative President Park Geun-hye, regularly reviled in North Korean commentary? Like President Park, Mayor Park says there should be “zero tolerance for North Korea to have nuclear ambitions”. The key difference between the conservative president and the liberal mayor, easily reelected in 2014 after a hard-fought campaign by the billionaire politico Chung Mong-joon, may be one of emphasis. 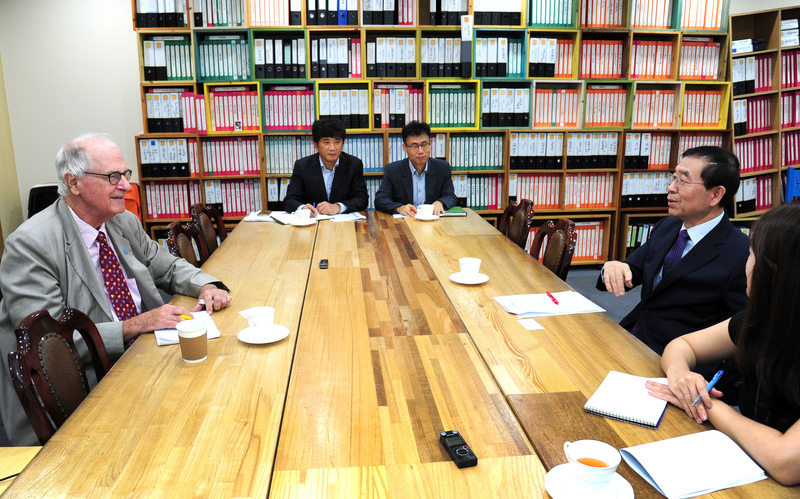 In dealings with the North, as in business and commerce, Park calls for “a different approach from the past,” and he sees Seoul as the springboard for achieving this goal on a national level. Expansively, Park sees Seoul as “a tourism city and also an R and D city” – a center for research and development with 65 universities. “We plan an R & D cluster, very large upscale projects,” he says. “Seoul is becoming attractive to many large business groups,” including, he notes, Johnson and Johnson, the American health care giant, opening a research wing here. Park sounds increasingly like a candidate for higher office, combining praise of the wonders of Seoul with criticism of the chaebol. Donald Kirk is a veteran correspondent and noted author on conflict and crisis from Southeast Asia to the Middle East to Northeast Asia. Don has covered wars from Vietnam to Iraq, focusing on political, diplomatic, economic and social as well as military issues. He is also known for his reporting on North Korea, including the nuclear crisis, human rights and payoffs from South to North Korea preceding the June 2000 inter-Korean summit. Kirk earned his Bachelors at Princeton and a Masters in International Relations from the University of Chicago. He also holds an honorary doctorate of letters from the University of Maryland College Park.